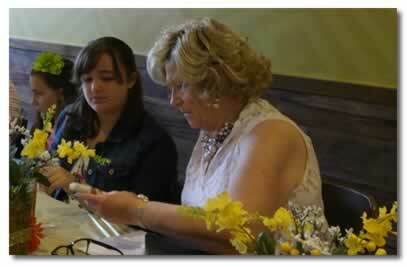 This year our annual Mother Daughter Brunch was held at Pappas Restaurant in Crown Point, Indiana. 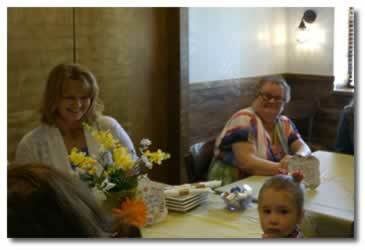 We all got together on May 13 at 10am ready to enjoy a sweet time of fellowship, and of course, the breakfast buffet. 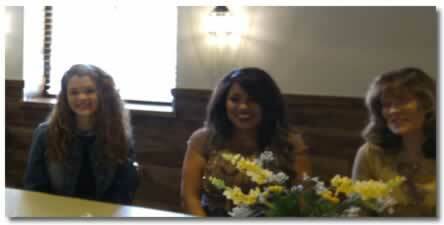 Crystal Lynn, Joy, and Tirzah sang a special song, which was lovely. 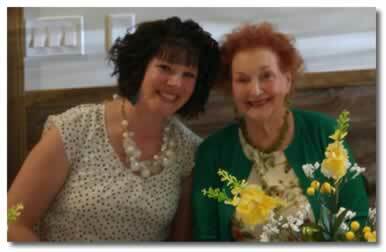 Vickie Kosmopolis was our special speaker for the event, giving her testimony as well as a tribute to her mother and grandmother for raising her up in a Godly home. These are just a few of the photos taken on the day that captured some of our memories. 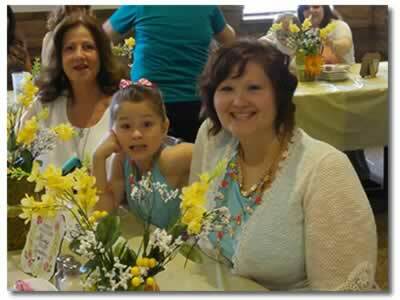 We all had a wonderful time and we hope that you will join us next year when we plan our next Mother Daughter brunch! 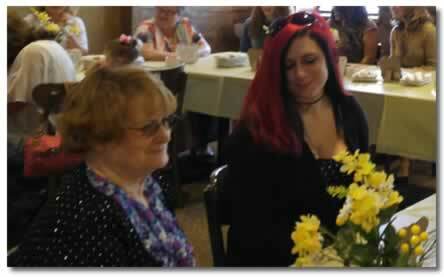 Thanks to all the ladies (mothers, daughters, and grandmothers, and friends) who who attended. You are all special and loved. 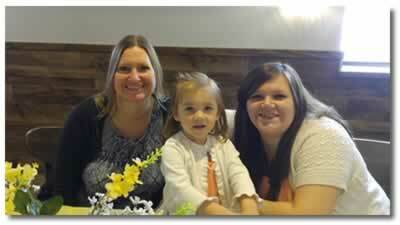 This month our missionary focus is on John and LeeEtta Hornbeck serving in Italy. Please keep them in your prayers. 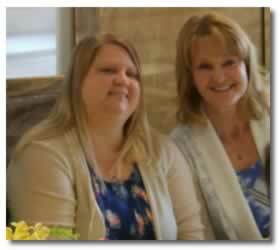 Our April ladies lunch will be at 11:30 on the 12th at Giuseppes in Schererville.